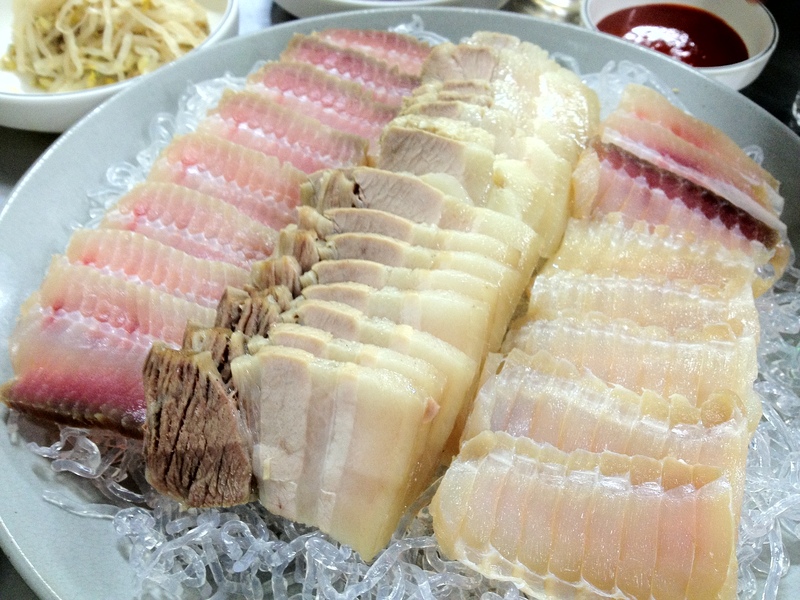 Fermented skate (홍어 pronounced hong-uh) is an expensive Korean delicacy, most popular in the southern parts of the country. I never bothered to ask about the “fermenting” process because at the end of the day its rotten fish! 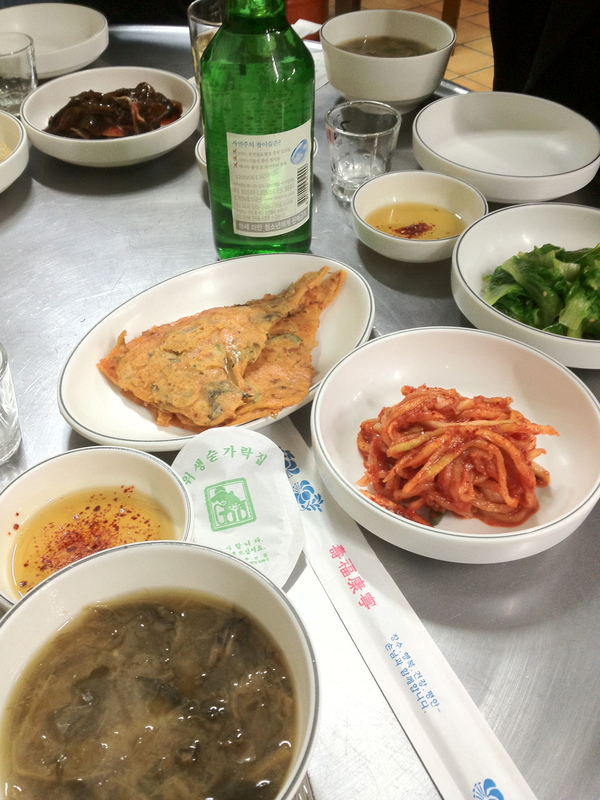 It was KRW 80,000 for the above plate of skate and bossam (steamed pork), super expensive. Due to the fermenting process, the skate has a very potent ammonia smell that only gets stronger the longer the meat is fermented. The Hyung (형) that brought me here said he eats it for that smell, yuck! 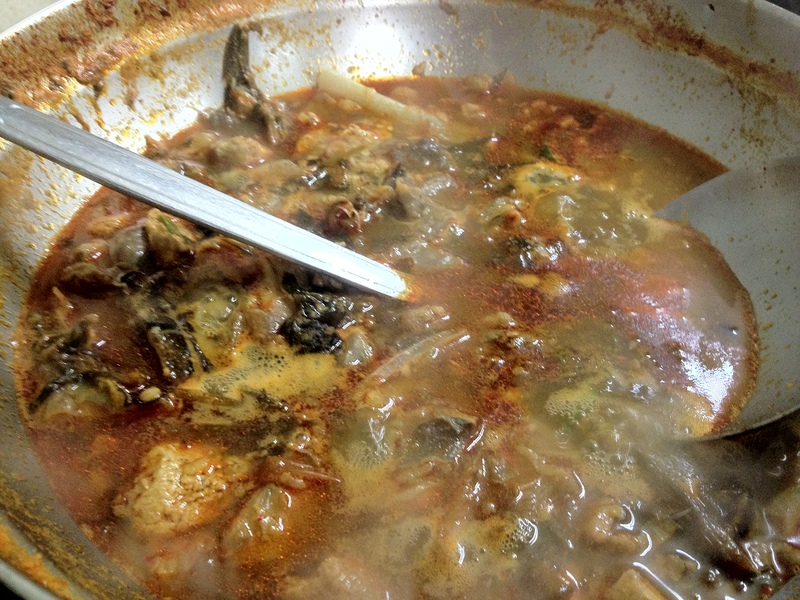 Due to the strong smell you’re supposed to eat it with a piece of kimchi and bossam. 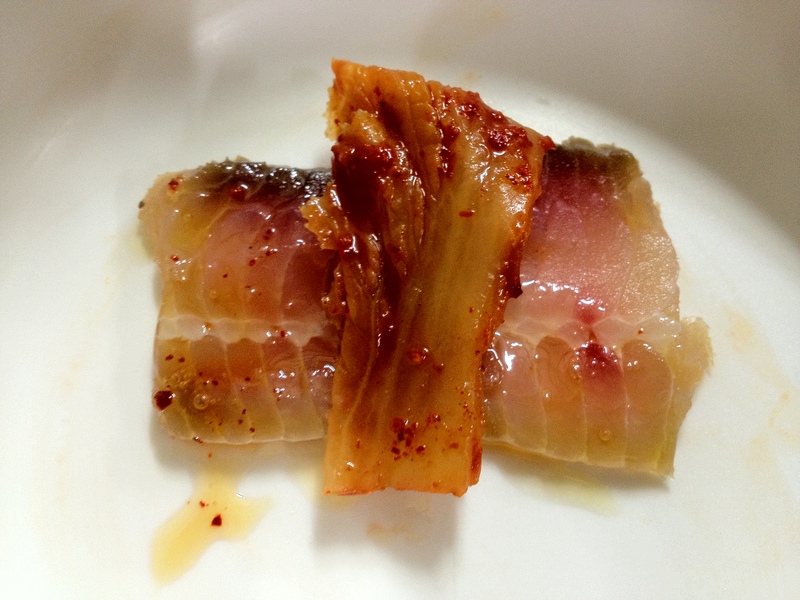 Above was my first piece, I dipped the skate in some sesame seed oil and the kimchi and bossam at underneath the piece of fish. It didn’t look or taste as bad as I imagined it would, but in no way did it taste good either. When you bring the piece to your mouth the ammonia smell hits you hard! Once you start chewing, you forget about the smell and notice how tough and chewy the skate meat is, almost like cartilage. 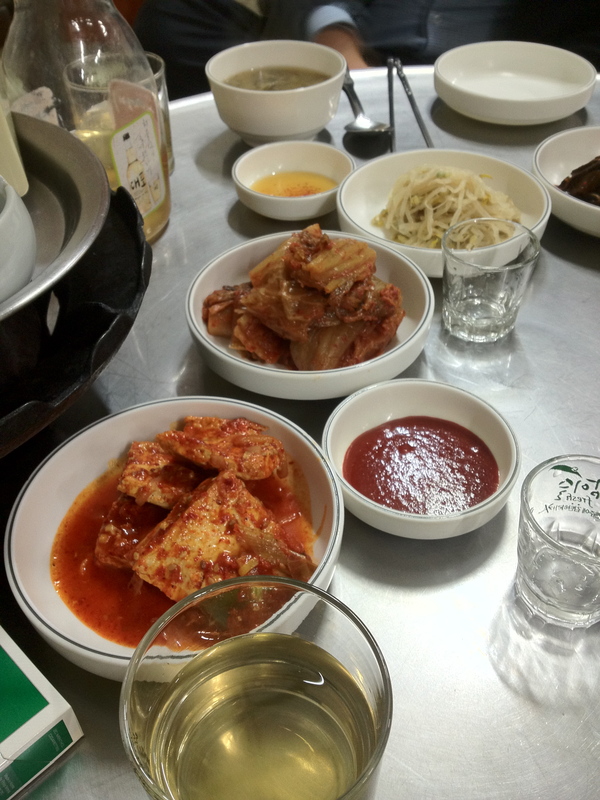 The meat didn’t really have a taste or maybe it was just overpowered by the super fierce kimchi (extra old and sour). 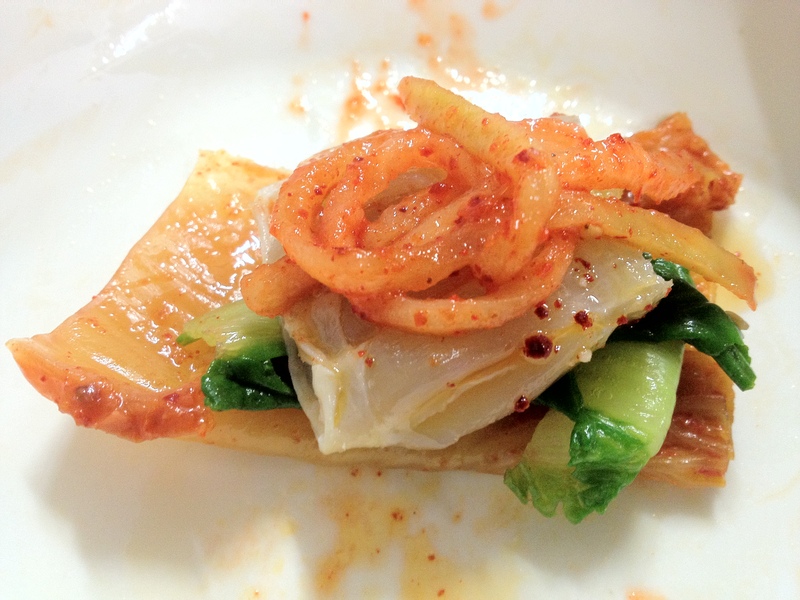 For my second piece, I decided to be brave and it eat with just the kimchi, no bossam. It was the same result, ammonia smell going in, tough to chew, I just wanted to get it over with and swallowed. 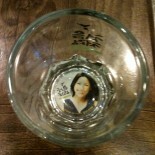 Soju never tasted so sweet! For my third piece, I tried to dress it up with some vegetables, at least make it visually appealing, wasn’t happening. Afterwards we ordered the stew (KRW 40,000) which tasted as bad as it looks in the pictures. 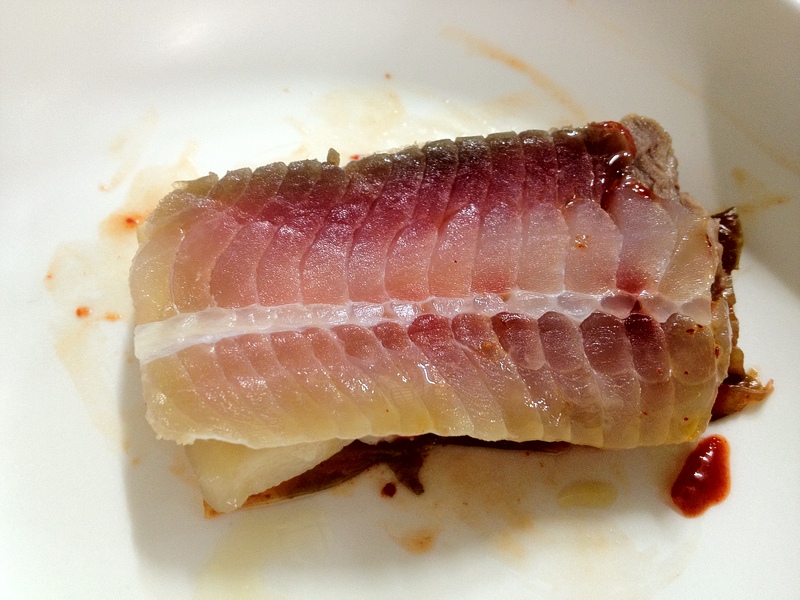 They basically threw-in all the left over pieces after slicing off the “sashimi” meat. 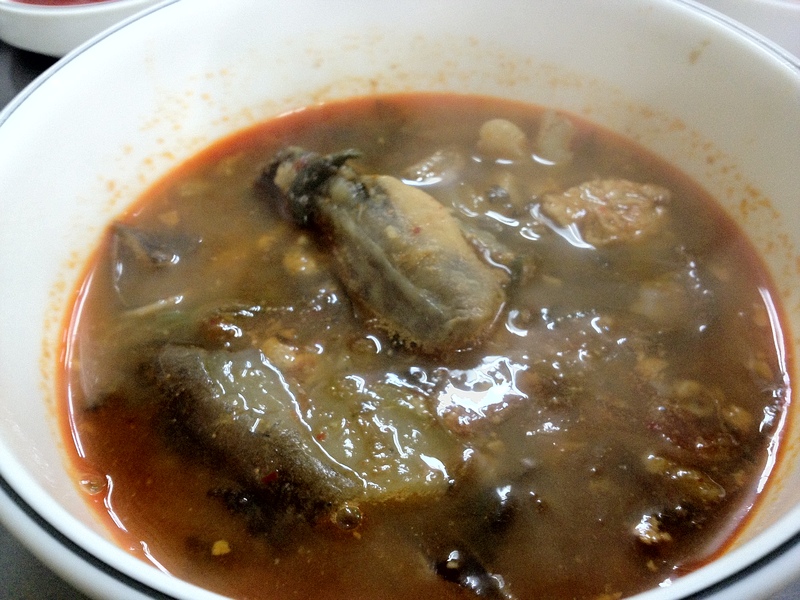 The stew had a much stronger ammonia smell and it had a lot of “fatty” pieces of skate that had a disgusting texture. People say you have to eat it 3 or 4 times before you learn to appreciate it. This was my first time and I didn’t get it, but at least I can say I tried it. If my Hyung wants to bring me back here I would accompany him because I know he’s paying but I would never pay for this with my own money. Rating: 3 out of 10. Note: this was more of an introduction to fermented skate than a restaurant review. If you really want to try for yourself, ask a coworker or relative and they’ll find you a spot. I bet you needed a lot of soju to get that skate down…I know I would! soju, beer, whatever! but worth a try, it was fun to experience it. Icelanders also eat fermented skate – there it is popular as dinner the day before Christmas. It is simply boiled and eaten with melted tallow and potatoes (they could learn a lot from your post!). Most people eat it for the weird/good taste/smell/sensation, other people eat it as a type of religious self-punishment before indulging in the fatty, sweet and luxurious Christmas food – but the four weeks before Christmas used to be a period of fasting and piousness. 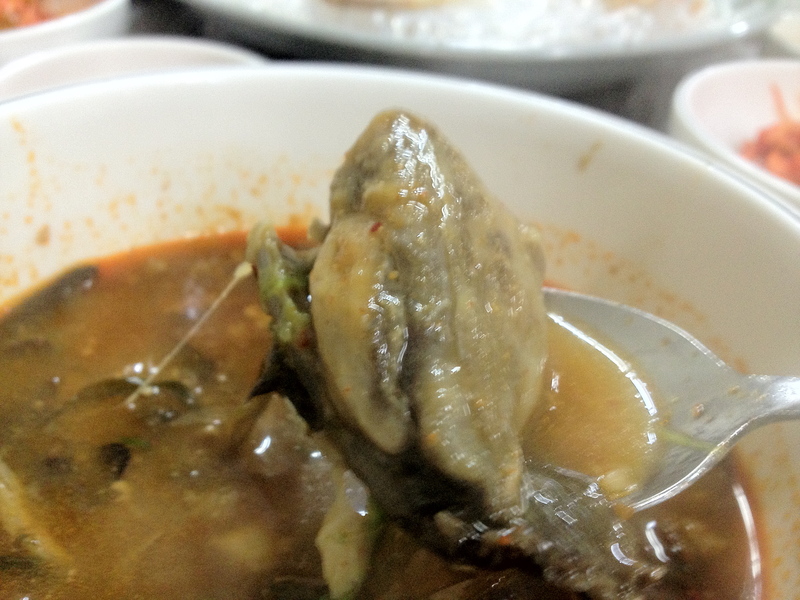 This entry was posted on March 27, 2012 by yongyi80 in Korean, Rating 3, Seafood.